It’s already August 1st! ACK! That means the first day of school is just a few weeks away. Time to squeeze in as much summer fun as possible in these last few weeks when nobody is taking attendance and absences don’t count. 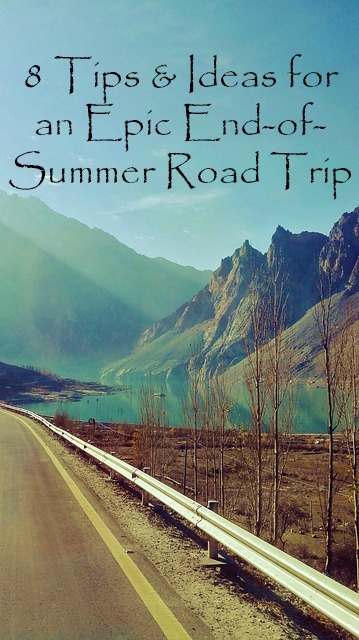 Are you planning an epic end-of-summer road trip before school starts back? If you need some ideas about how to make the trip easier and more fun for your family, here ya go! Get a safety inspection on your car. This might be self-explanatory to some, but some of us need a reminder. Being broken down on the side of the road is not fun when you’re in your own town. It’s downright awful when you’re in another state. Have your mechanic check the oil, headlights, windshield wipers and tire treads so that you will feel more confident while you travel. Go somewhere new. My family has a bad habit of going back to the same vacation destinations year after year. While it’s relaxing to be in a familiar place, it can be boring after a while. I have to force my family to shake things up and visit a whole new place occasionally. It’s fun to venture out into the great unknown! Bring a road map. Yes, I know we live in the age of technology, but guess what? Sometimes you run into spots where your GPS will lose a signal and your phone will have no service. A good old-fashioned atlas or road map can come in handy in times like this. And besides, teaching kids to read a map can be lots of fun. It was always my favorite part of a road trip as a kid. If you’re feeling really adventurous, let your kids plan the route you’ll take to get there (more on that later). Be spontaneous. Having a plan is nice, yes, but nothing can beat spontaneity on a road trip. Seriously. Those are the memories that you and your passengers will remember and appreciate forever. So stop and visit when you see quirky things along your path. It’s worth the extra time spent. It’s not all about the destination, it’s about the journey too! Have working A/C. The end of the Summer is still hot and let’s face it, sometimes rolling down the windows just doesn’t cut it. A working A/C will keep your passengers cool and the complaining down to a minimum. Research restaurants. Before leaving on your trip, do a little bit of research and look for the best restaurants along your path. Don’t just look for chain places, find the hole in the wall restaurants that are popular in their areas. It can be like your own little version of “Diners, Drive-Ins & Dives.” Sometimes local, authentic food is the best part of a place. In fact, you can even make this a basis for your trip. I always Google “Best restaurants in (insert vacation town here)” and pick the top one that we can afford. We have had some seriously delicious and memorable meals doing this over the years. Let the kids plan a day. 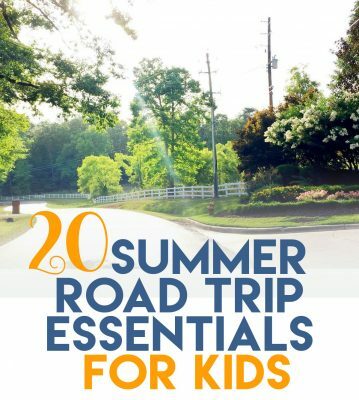 If you are road tripping with children, consider letting them plan one of your days. Give them a map and access to the internet so they can look up attractions that will be near your location. They will feel a tremendous amount of pride knowing that they had a part in your plan. Bring lots of snacks. Hungry passengers are cranky passengers. Make sure you have lots of yummy snacks on hand to keep everyone from getting hungry along the way. Lots of granola bars, dried fruits, nuts, cheese sticks, etc. Try to keep it healthy, but easy to pack-n-snack in the car. 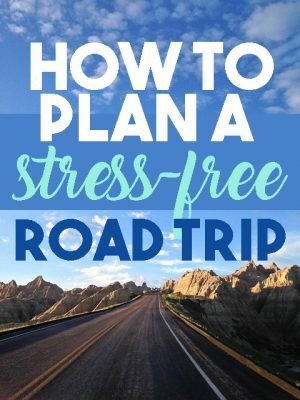 Do you have any great road trip ideas or tips that have helped you have a great trip? Leave a comment and tell us your ideas! I’d love to bring more snacks for a road trip… I love food haha! 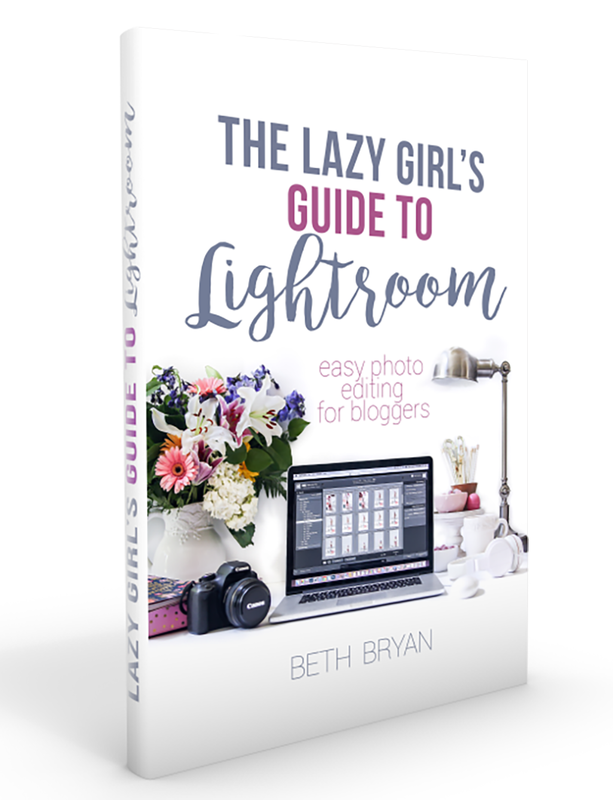 So amazing tips about summer road photography. If you’re looking for something low budget to do one evening, park the car in a cool spot and enjoy the sunset! you could take a picnic and just soak in the great views.